Having been singing for over 20 years Andy has a sophisticated and unobtrusive style that can enhance any occasion. With a superb sense of humour thrown into the mix he is capable of entertaining a varied audience. Think of a mix between Sinatra and Motown and Andy falls somewhere in between. 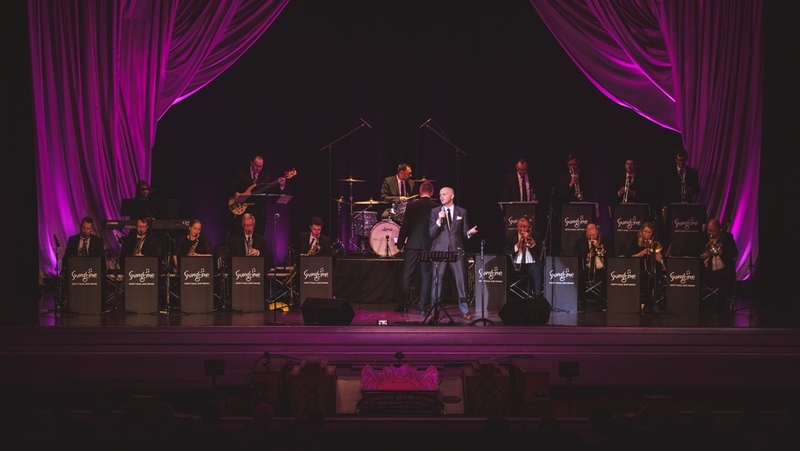 Andy Powell is a modern day jazz singer with a voice capable of singing the most beautiful swing or soulful ballad with the ability to change direction and inject a rough edge to a more up-tempo style when required. Think of a mix between Michael Bublé and Marvin Gaye and Andy falls somewhere in between. Having been singing for over a decade Andy has a sophisticated and unobtrusive style that can enhance any occasion. With a superb sense of humour thrown into the mix he is capable of entertaining a varied audience. As well as the standards in jazz and soul Andy’s set list also comprises music by the likes of Amy Winehouse, Cee Lo Green, The kings of Leon and Olly Murs. Andy has performed at many prestigous venues around the Uk such as The Bridgewater Hall in Manchester to smaller more intimate settings. From marquee weddings to large Theatres. Andy has performed his brand of Jazz and Soul standards around the country and is just as comfortable singing to 50 people as he is to 3000. With a client base of many of the countries hotel chains, from the Lowry, Hilton and Midland Hotels in Manchester to some of Cheshire’s most exclusive and beautiful venues such as The Cottons Hotel & Spa, (resident singer) Mere Golf & Country club, The Alderley Edge Hotel, Shrigley and Mottram Halls as well Rio Ferdinand’s Rosso restaurant to name but a few. Andy can be booked for your wedding day as a wedding singer and/or compere for the day.